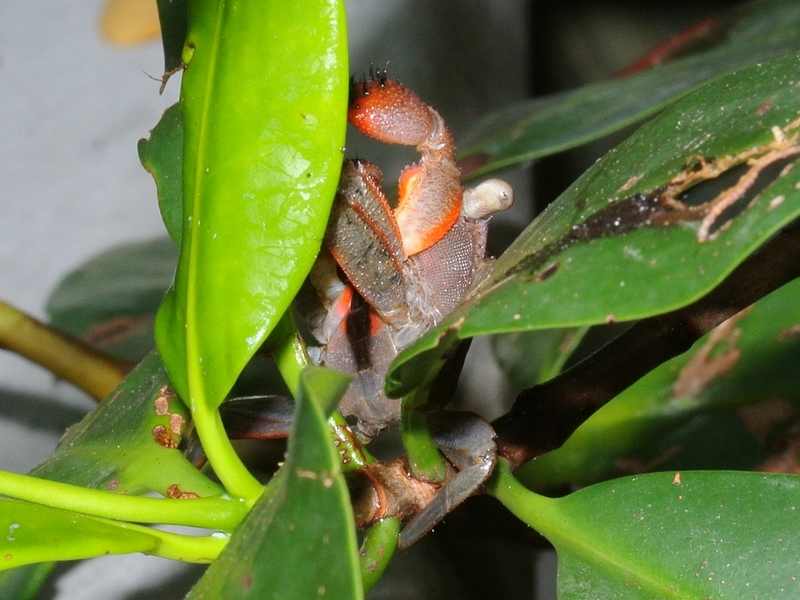 Mangrove Tree Crabs ( Aratus pisonii ) are cute little things. The local fishermen use them as bait and the Night Herons love them as snacks. 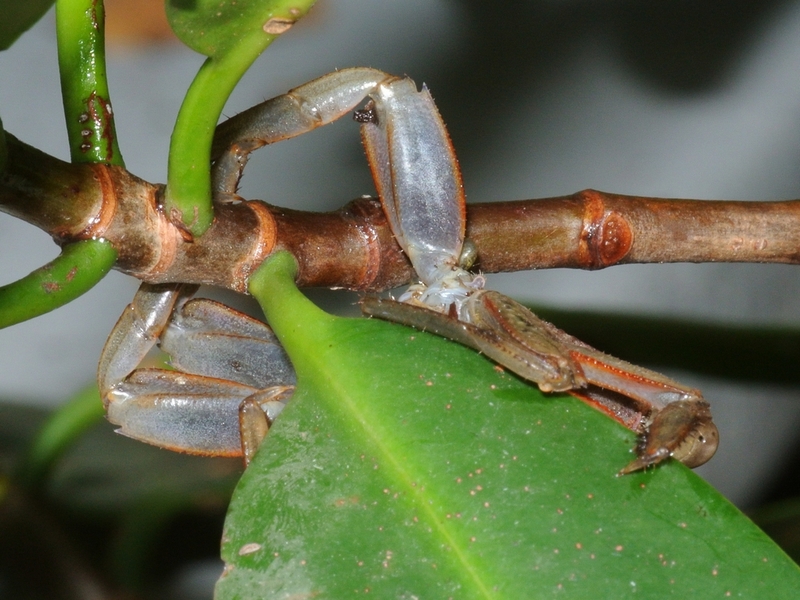 I find them climbing in the mangroves along the nature walk in Ponce De Leon Park or just about anywhere you find mangroves in SW Florida. Their first instinct when you approach them is to freeze. This makes them fairly easy to catch if you move slowly and then grab quickly. If you move too quickly, they will just drop off the branch. They do keep a close eye on you though. This little one couldn’t completely hide behind the mangrove leaves but it tried to keep as much as possible hidden while keeping an eye on me. Their eyes are on stalks and can be moved in any direction. The pupil is a little black dot inside the stalk. 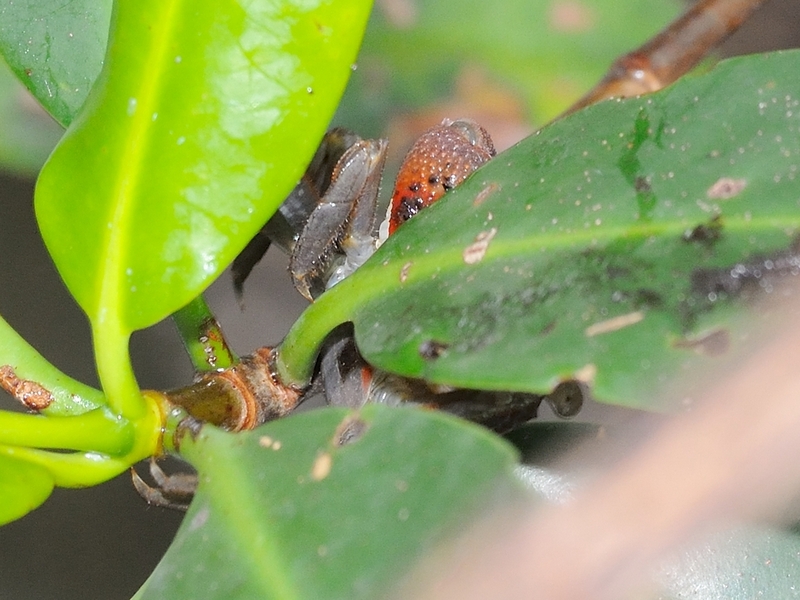 In the picture on the left you can see an eye peeping through a notch in the leaf left by an insect. In the one on the right, it is just peeking around the edge of it’s foot. Moving slowly I did manage to gradually move around the leaf to get a couple of better views. 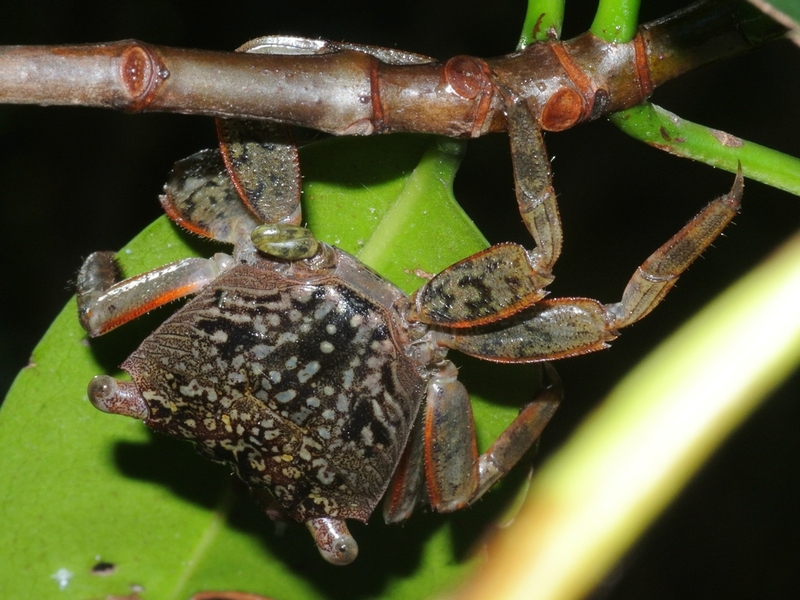 This entry was posted in animal behavior, Other Animals and tagged Aratus pisonii, Leitz ELPRO VI, mangrove tree crab, Nikkor 30-110mm, Nikon V1. Bookmark the permalink. Oupssss… at first sight I thought it was a spider!!!! what a lovely little thing, thanks for these amazing picture.